CAUTION: Before starting any maintenance make sure the fan is turned off at the circuit board. Check to see if there is power to the fan. A circuit might be tripped. Next, see if the motor plug is connected. Typically fans will have a plug running from the motor to a receptacle in the fan housing. If this has come loose, the fan will not operate. Another cause could be the wiring was not done correctly. This usually only applies if it is a brand new installation. If after checking all of those without solving the issue, you probably need to replace the motor or entire fan. The fan is working but the air is moving slower than normal: More often than not, this is because there is a build-up of dirt on the fan motor/blade or an obstruction in the ducting. Common obstructions include bird’s nest in the roof or wall caps where the air is being exhausted out of the home. Removing any blockage in your ducting or cleaning the inside of the fan according to the instructions in your owner’s manual will hopefully solve the issue. The fan is operating louder than normal: First you will need to identify what type of noise it is making. If it sounds like it is operating normally just louder it might be because of some of the same issues described above in the air is moving slower than normal. If it is more of a rattling sound it may be because the motor has come loose. Most exhaust fans have a housing with the motor attached to the housing with some type of mounting bracket. Over time the screw(s) holding the motor to the housing can work themselves loose. Tightening these might solve the problem. Much in the same way, it could be that the screws or nails holding the fan to the joists have worked themselves loose or the ducting has disconnected. If you have access to the fan from above, this can be easily checked and corrected. Other causes could be a weld has broken loose on the fan housing. Unfortunately, that can’t be easily fixed and the whole fan will need to be replaced. If you hear more of a scraping sound it is probably the fan blade hitting the fan housing. This can happen if the blade was damaged during cleaning or if it has worked itself loose. Check to see if you can fit the blade back onto the motor shaft. If not, you might need to replace the blade, the motor or the entire fan depending on the extent of damage. If you have central air in your home, hopefully you know it also has an air filter and that the air filter needs to be changed. You should check you air filter every month and will probably need to replace it at least every 3 months depending on how much the system is running. 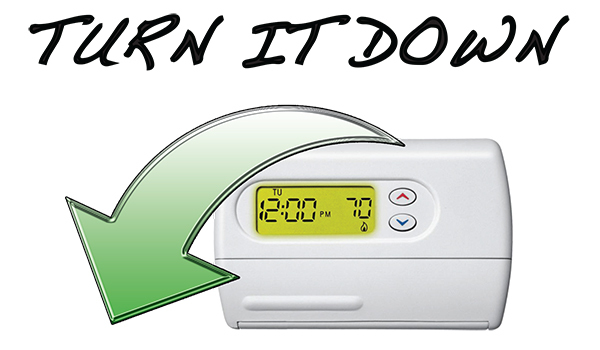 During the cold of the winter months when the heater is running a lot, you will probably need to replace it more often. During mild months when the system might not be running at all, you can typically go longer before needing to replace the filter. Changing filters that often can sometimes lead to the theory that this is all a fabrication of the filter manufactures that are trying to take over the world. Well unfortunately we just can’t support that theory. The air filter is a critical part of your HVAC system. It removes dirt and debris and allows the system to work at maximum efficiency. The entire system is relying on air flowing freely throughout the home. 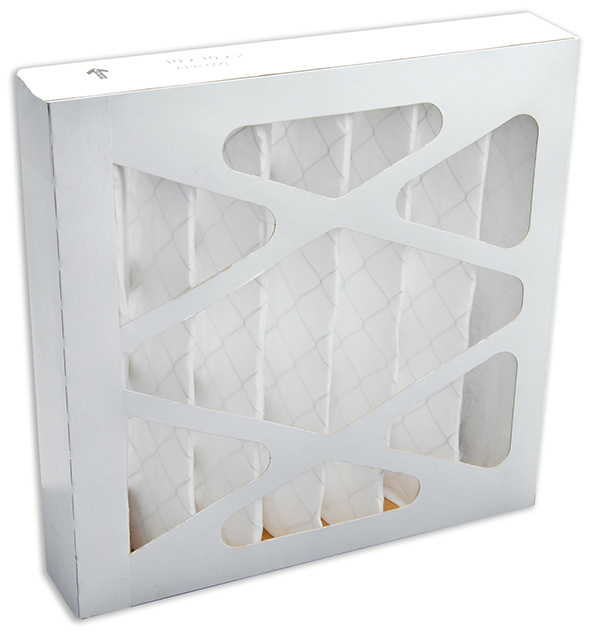 If you have a dirty and clogged filter that efficiency is going to decrease dramatically. As the filter becomes dirty, less air can flow through it. That causes your HVAC unit to have to run longer which wastes energy, resulting in higher bills. Think of it this way. Take a large straw and blow into one end of it with your hand at the other end. You should feel a nice flow of air coming out. Now stuff the straw with cotton and try blowing again. You will need to blow a lot harder and only a fraction of the air will actually come out the other end. This is what you are doing to your HVAC system when you use a dirty filter. Fine, problem solved, I just won’t use a filter – that will teach them. Not a good idea. A dirty filter is actually a good thing in a way. If the filter had not captured the dirt, where do you think it would have gone? That would be coming out of your ductwork and into the air you breath or worse would lessen the life of your system because it would clog up the motor and internal workings of the HVAC system. Changing the filter is typically something that any homeowner can do. For most systems, the filter is located on the right side of the HVAC system (the air return side). Check the size you need by looking at the numbers on the current filter and purchase a new filter that match those number exactly. Almost all home improvement centers will have replacement filters available. Once you have the new filter, slide the old one out, taking note of the airflow direction (usually an arrow on the top of the filter). Slide the new filter in and you are done. If you are not sure where your filter is located or have any other questions, contact a licensed professional HVAC service person. They will be able to check you system and show you how and where to replace the filters. 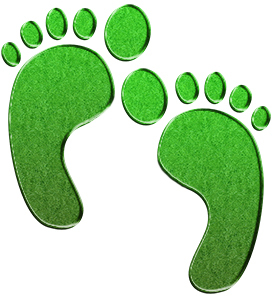 To learn more about other helpful cost saving tips visit the climate change section at www.airkinglimited.com. Have you ever taken a shower and the mirror starts to fog up? For almost all of us, we have experienced this at least one time in our life, probably more often than not. You might open a window, wipe it down with a towel, or think to yourself that you need a better exhaust fan (Air King can help with that!). What a lot of people don’t think about is that same steam that is causing your mirror to fog over is also going through your ducting. This presents a prime opportunity for condensation to form within your ducting. Condensation in the ducting forms when the hot steam from the shower passes through the cooler ducting, causing the steam (water vapor) to turn into a liquid form (water). This is especially true in cooler climates of the country. A very simple fix is to use insulated ducting as well as placing insulation around and on top of the actual exhaust fan (Make sure to check the rating of your exhaust fan as to how much insulation can be placed on top of it. Generally fans are rated for at least an R40 factor). 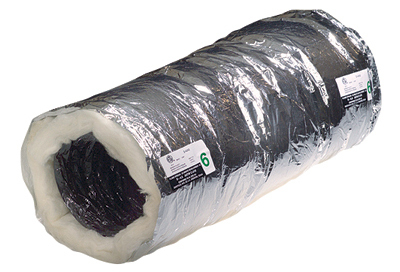 By using insulated ducting it does not allow the air flowing through it to cool fast enough to cause condensation. What is the big deal with condensation? Condensation can be harmful in many ways. Anytime you have sitting water, the potential for mold and bacteria growth exists, so you are working against one of the main reasons you have an exhaust fan in the first place. Another issue is depending on the situation you could cause enough condensation to form that it starts to drip out of your fan and possibly cause damage to the ceiling material around the fan. Air King, as well as the Home Ventilation Institute and ENERGY STAR® all strongly recommend that insulated ducting be used with all exhaust fans, so take a minute and check to see if your fan’s ducting is insulated or not. Your fan’s ducting will thank you! Want to learn more? Take a look at our other topics or click on the “Learning Center” tab of the Air King main website at www.airkinglimited.com. 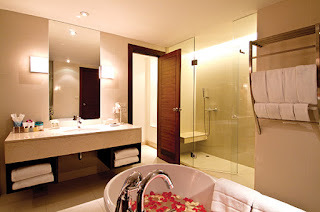 You just finished washing the floor and the shine of a clean surface is glistening in the sunlight. A job well done. Then you hear it, the kids, the dog, your spouse. With cat like reflexes you protect the area yelling – THE FLOOR IS STILL WET! Then you see your family standing in the middle of the floor as they turn to you and say – what did you say? Okay maybe it’s not that dramatic in your home, but there is an easy way to help the drying process. Have you ever considered using a pivoting floor fan or utility fan to speed the drying process? By placing a fan or two around the area, the force of the air rushing across the floor will speed the evaporation process along, drying the floor in a fraction of the time. Now getting them to remove their muddy shoes before coming in the house, unfortunately we can’t help with that. We’re a fan company not miracle workers. The best fans for the job are ones where you can pivot the head of the fan down towards the floor. This way the airflow is going directly towards the wet floor. 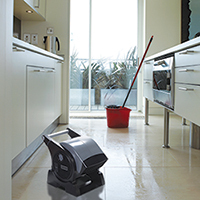 Just a note of caution – whenever you are using an electronic devise and water is involved, make sure the power cord and the fan are not sitting in any puddles of water. Also do not have the fan running while you are cleaning the floor to avoid any water splashing up into the motor area. Always check your owners manual for any additional warnings before using your fan. If you have gone into your favorite home improvement store lately, you will notice that the light bulb aisle looks completely different. Starting at the beginning of 2012 standard 100 watt incandescent light bulbs were no longer able to be manufactured for sale in the United States. By the beginning of 2014, that also included wattages down to 40 watts. This was enacted under the Energy Independence and Security Act. What this means is that higher efficiency lighting has to be used. 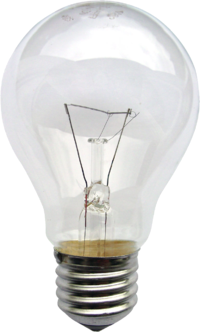 Incandescent bulbs use a lot of energy and only turn a fraction of that energy into light. Most of the energy is given off as heat. The two most common replacements are either Compact Fluorescent Lamps (CFL) or Light Emitting Diode (LED). CFLs have been around for a while and are a good alternative. For instance a 26 watt CFL can produce that same amount of light as a 100 watt incandescent light, but uses 74 less watts to do it. Lets assume you change one commonly used 100 watt bulb to a 26 watt CFL. Lets also say that light is typically on 5 hours a day. 5 x 74 = 370 watts/day that you would save. That is over 135,000 watts per year for just one light bulb. Now you may or may not agree with the government’s involvement with this act (that is a discussion for a different blog), but what is clear is the energy and ultimately the cost saving for all home owners. Lighting manufacturers have made it very easy to make the transition from incandescent lighting by using the same base for CFL and LED lights as incandescent. That means you can take the old one out and screw the new one right into the same socket. To learn more about lighting and how it effects Air King’s bathroom exhaust fans and kitchen range hoods, visit www.airkinglimited.com. You generally do not hear people tell you to go inside for a big breath of fresh air, yet this is where we spend a good portion of our lives. 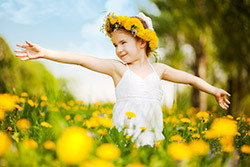 If you live in colder climate areas you probably look forward to that first warm day of spring when you can open the windows and feel that rush of fresh air come into your home. You hear the term Indoor Air Quality (IAQ) being thrown around but what does that encompass? There are all kinds of filters and gadgets on the market today that make a multitude of claims. While a lot of these help, they are still just recirculating the existing air within the home. Exchanging the stale air within the home with fresh air from outside is still the most effective way to ensure your home’s indoor air quality. The American Society of Heating, Refrigerating, and Air-Conditioning Engineers (ASHRAE) has done extensive research and work, including developing design standards to ensure indoor air quality. With the introduction of the new design standard known as ASHRAE 62.2, ASHRAE requires a continuously operating exhaust fan to exhaust the stale air within the home and replace it with fresh air from outside the home. Air King offers a quick calculator to see how much ventilation you need for your specific home as well as energy efficient ventilation products including exhaust fans and kitchen range hoods designed to meet and exceed the ASHRAE 62.2 standard. To learn more, please visit the ASHRAE 62.2 learning center on the Air King web site for more detailed information. Does your exhaust fan sound like an Airplane? Time for a new one? Unfortunately, not using the exhaust fan in your home can cause some serious issues with mold, mildew and indoor air quality. We get it, if it sounds like an airplane engine in your bathroom, you don’t want to turn it on. The first thing to do is determine if the problem might be able to be corrected or if that is just how loud the fan is. Air King offers many troubleshooting tips in the FAQ section at www.airkinglimited.com. Common issues include blockages in the ducting, build up of debris on the blades of the fan and mechanical issues such as broken welds on the fan housing. If it is not a problem with the fan, it might be that the fan just is that loud. Many times in new construction, not a lot of attention is given to the exhaust fans, so less expensive – louder operating models are used. On most models there will be a label that tells you the sound level. If your model doesn’t have a label, you can try and find the model number and the manufacture to see if they have any information online. Sound is measured in sones. A rating at or below 1 sone will be very quiet. 1 to 2 sones will still be quiet but anything over 4 sones starts to get loud. If your fan’s normal operating level is higher than what you want, or any of the troubleshooting tips do not solve the issue, you might want to consider replacing it. An exhaust fan replacement can typically be completed by a homeowner with some electrical and general handyman skills in an afternoon. There are many factors that can influence the ease or difficulty of the installation including the size of the ducting, if the new fan is larger than the existing one and if you can access the fan from above. Air King always recommends consulting a professional if you are unsure about any aspects of the installation. Air King has a large selection of energy efficient, quiet exhaust fans to meet the needs of almost any home. To learn more about Air King’s bathroom exhaust fans, visit www.airkinglimited.com.